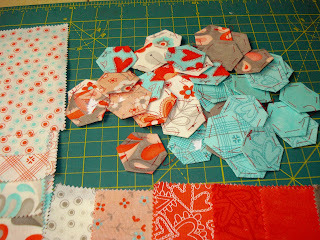 This is my Hexie pile up, in the progress off getting them sew together and quilted! While doing a bit of browsing I came across this great tip. GREAT TIP. As a blog follower I love to write a quick note to show appreciation of other's quilts and projects, however, after I have got my text in, spelled correctly( most of the time : )), I get the word verification box. Most the time I can not see it well enough to get it right and can't leave the message. VERY frustrating! Then I realized I had it too! It was an auto function on blogger. So I promptly turned it off and I NEVER get spam mail. Any one else have this problem? If so there is a great tip with step by step instructions to turn it off. 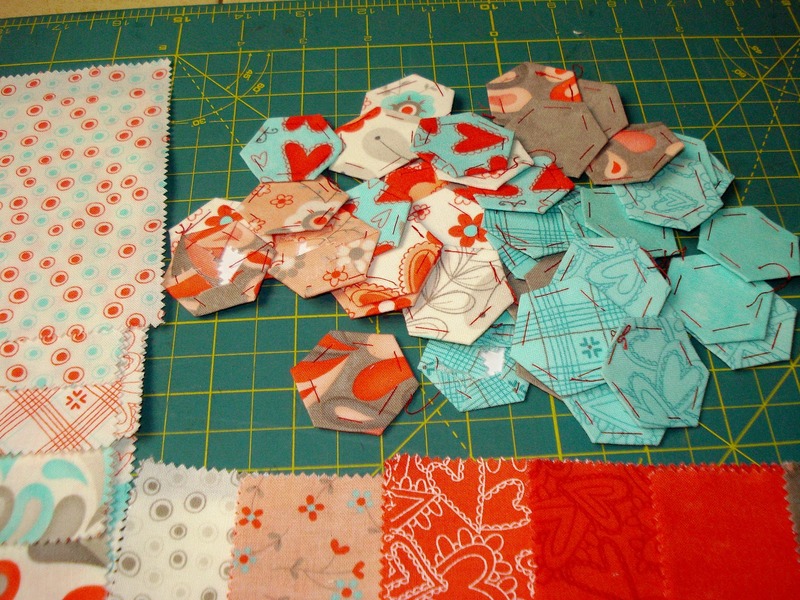 Your hexies look so cute.